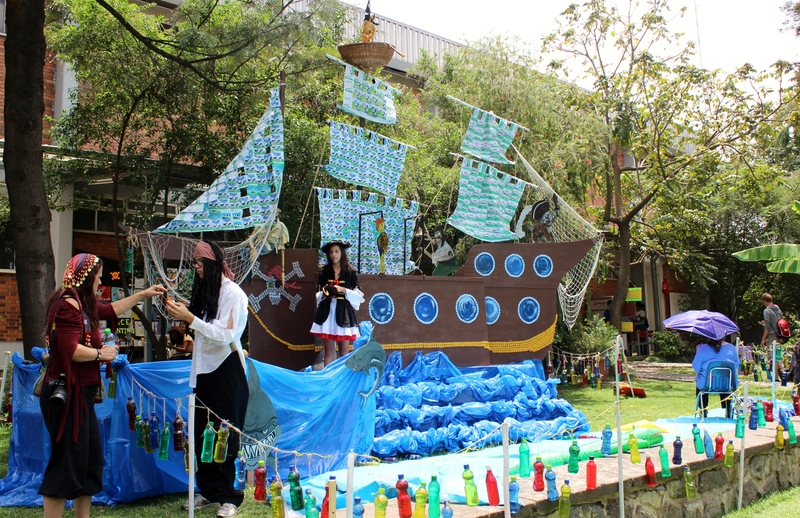 Check out the recycled-materials ship from the school’s pirate-themed spring carnival last weekend. The sails are plastic milk bags. The trim is bottle caps. The ocean is blue packing plastic. And of course the buoys are plastic water bottles. Never underestimate the ingenuity of a PTA mom. And guess what: Settlers has a new Explorers & Pirates expansion set that just went on sale! I have to figure out how to get it here. A test of my ingenuity, I guess. 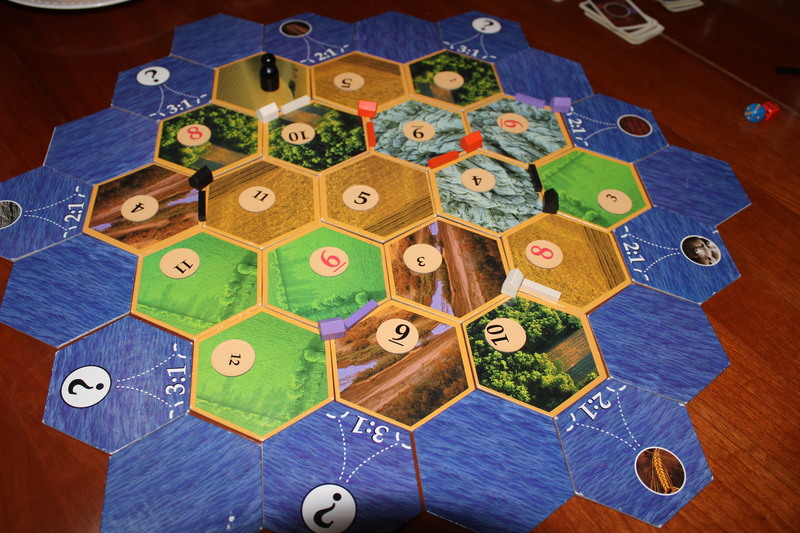 This entry was posted in International Community School and tagged pirates, recycling, Settlers of Catan. Bookmark the permalink.